Antikythera or Anticythera (literally “opposite Kythera”) is a Greek island lying on the edge of the Aegean Sea, between Crete and Peloponnese. 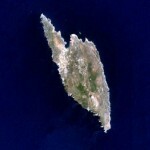 Since the 2011 local government reform it is part of the municipality of Kythera island. It lies 38 kilometers south-east of Kythera. 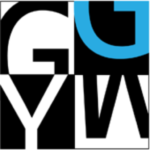 It is lozenge-shaped, 10.5 km NNW to SSE by 3.4 km ENE to WSW. 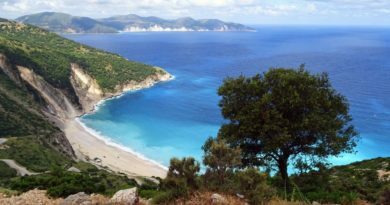 It is notable for being the location of the discovery of the Antikythera mechanism and for the historical Antikythera wreck. Its main settlement and port is Potamós with a population of 18 in 2001. The only other settlements are Galanianá (with 17 inhabitants), and Charchalianá (with 9). 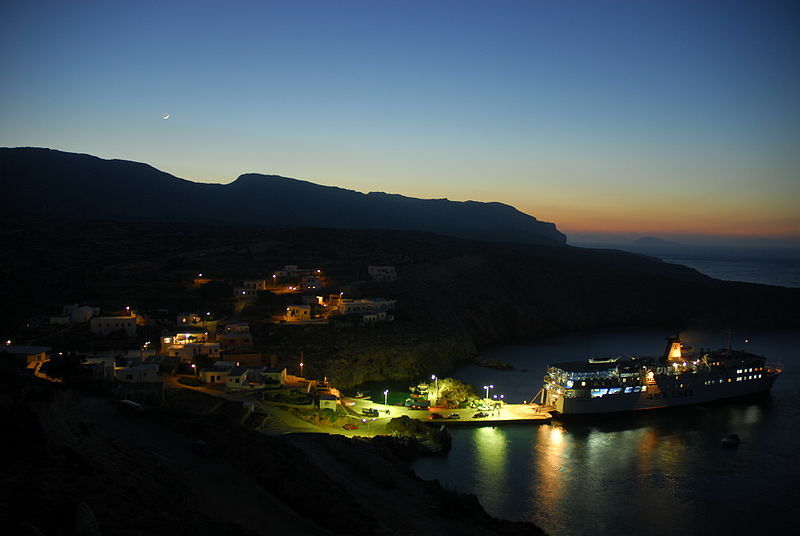 Antikythera is sporadically visited by the LANE Lines ferry Vitsentzos Kornaros, on its route between Piraeus (Athens) and Kissamos-Kastelli in Crete. The earliest known inhabitants (5th or 4th millennium BC) were likely seasonal hunters who traveled there to exploit the presence of migratory birds. 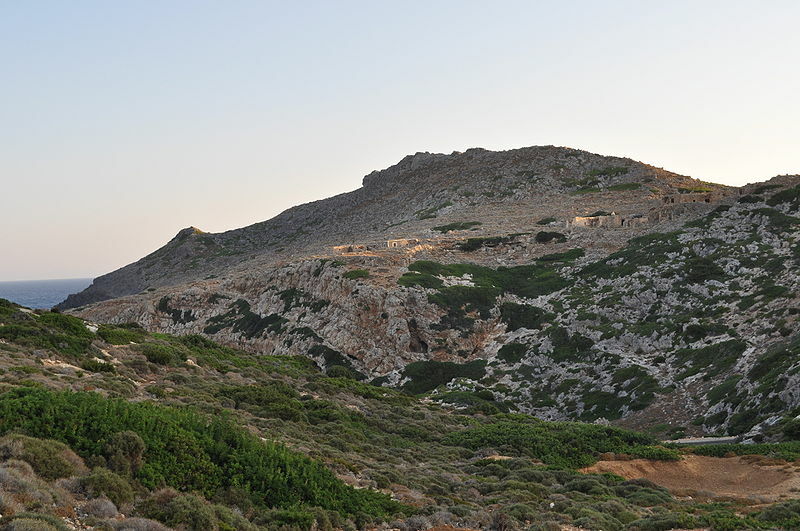 The population of the island then changed frequently as it was settled and abandoned several times, including a period of significant influence by Cretan culture during the Bronze Age. Antikythera is most famous for being the location of the discovery of the Antikythera wreck, from which the Antikythera Ephebe and Antikythera Mechanism were recovered. The Antikythera mechanism is an ancient mechanical calculator (sometimes described as the first mechanical computer) designed to calculate astronomical positions which has been dated to about 150–100 BC. Technological artifacts of similar complexity did not appear until a thousand years later. 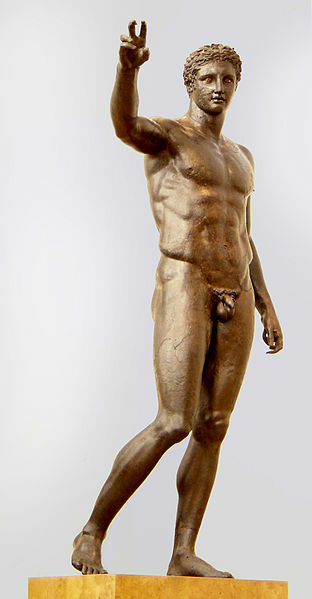 It was discovered in an ancient shipwreck off Antikythera in 1900. The Antikythera wreck is dated from the 2nd quarter of the 1st century BC. It was discovered by sponge divers off Point Glyphadia on the Greek island Antikythera in the early 1900s. 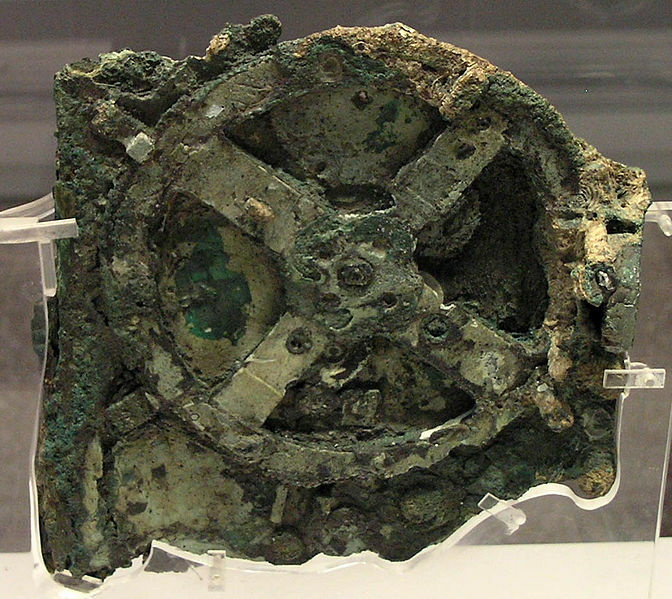 The wreck produced numerous statues dating back to the 4th century BC, as well as the world’s oldest known analog computer, the Antikythera mechanism. Some scholars have speculated that the ship was carrying part of the loot of the Roman General Sulla from Athens in 86 BC, and might have been on its way to Italy. 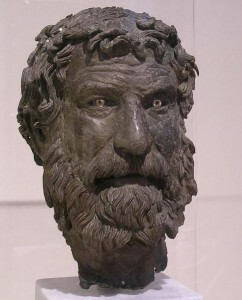 A reference by the Greek writer, Lucian, to one of Sulla’s ships sinking in the Antikythera region gave rise to this theory. Remains of hull planks showed that the ship was made of elm, a wood often used by the Romans in their ships. Eventually in 1964 a sample of the hull planking was carbon dated, and delivered a calibrated calendar date of 220 BC ± 43 years. The disparity in the calibrated radiocarbon date and the expected date based on the ceramics was explained by the sample plank originating from an old tree cut much earlier than the ship’s sinking event. Further evidence for an early 1st century BC sinking date came in 1974, when Yale University Professor Derek de Solla Price published his interpretation of the Antikythera mechanism. He argued convincingly that the object was a calendar computer. From gear settings and inscriptions on the mechanism’s faces, he concluded that the mechanism was made about 87 BC and lost only a few years later. All antiquities recovered in 1900-1901 and 1976 from the legendary shipwreck off the islet of Antikythera, will be presented for the first time in a temporary exhibition from April 2012 and for a year at the National Archaeological Museum.